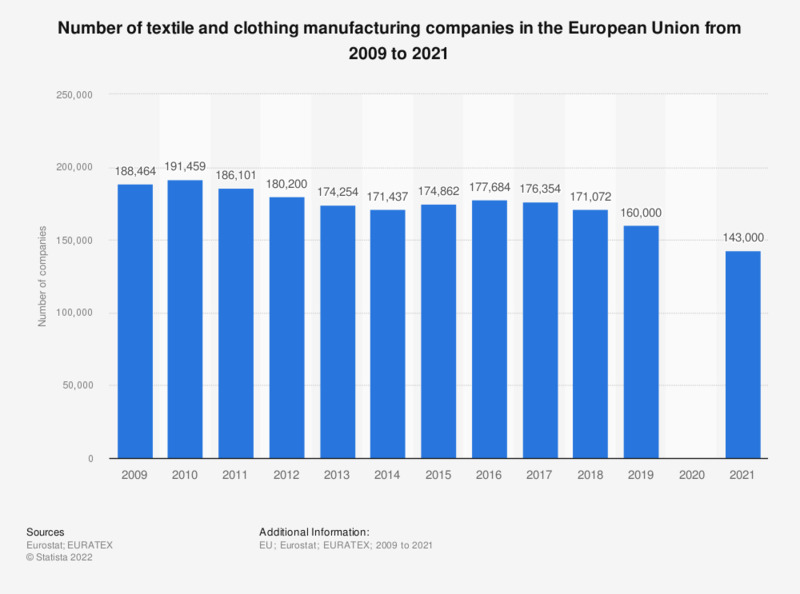 This statistic shows the total number of companies in the textile and clothing manufacturing industry in the European Union (EU-28) from 2009 to 2017. After a period of decline, the number of textile and clothing manufacturers began to increase in 2014, rising to 177,684 companies by 2016. Between 2016 and 2017, there was however an estimated drop in company numbers to 176,354. * Estimate by Euratex, based on Euratex member data and Eurostat. Includes man-made fibres, textile and clothing industries.